Despite fears of classified information leaks in the wake of new anti-terror measures, the EU foreign policy chief has called for broader sharing of intelligence data – within its borders, as well as with Arab and Asian nations. “We are looking at projects to launch in the coming weeks with some specific countries to increase the level of co-operation on counter-terrorism, and I would name Turkey, Egypt, Yemen, Algeria and the Gulf countries,” Federica Mogherini of the European Union for Foreign Affairs and Security Policy, said at a press conference on Monday, after talks in Brussels with the Arab League chief and European ministers. These projects will be based on the “input to share intelligence information not only within the European Union but also with other countries,” according to Mogherini. “We know very well that the first victims of terrorism and terrorist acts are Muslims and Arab countries,” the foreign policy chief of the 28-nation bloc said, referring to a “deep awareness of the need” to develop “a dialogue, an alliance of civilization and avoid any kind of perception of a clash” – within Muslim communities, especially their youth, inside the EU, and abroad. Gilles de Kerchove, the EU’s counterterrorism coordinator wants to create an air traveler database – a passenger name record database (PNR). “It’s indispensable. I’m quite optimistic [about PNR]. It’s one of the rare if not the sole means that allow us to detect suspicious transfers of people that one could not identify by information on the ground,” he told Europe-1 French radio on Monday. Monday’s meeting of EU leaders was focused on preparations for a special anti-terrorist summit on February 12. According to AFP, most EU states have been unwilling to share the work of their intelligence networks, making exceptions only to their most trusted allies because they fear potential leaks. European Union countries, with their citizens moving freely across borders, are on high alert. 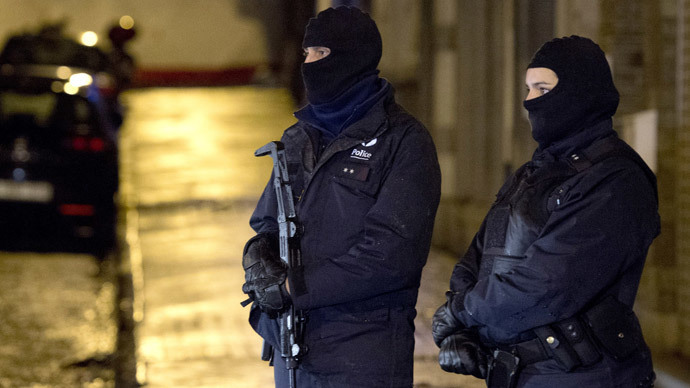 It comes after three terrorists, who claimed they were acting on behalf of Al-Qaeda and the Islamic State, killed 17 people at the Charlie Hebdo satirical magazine and a Jewish shop in Paris earlier this month.